New from ELF, a modern commercial stove - this is real aluminium sheet NOT a paint finish. 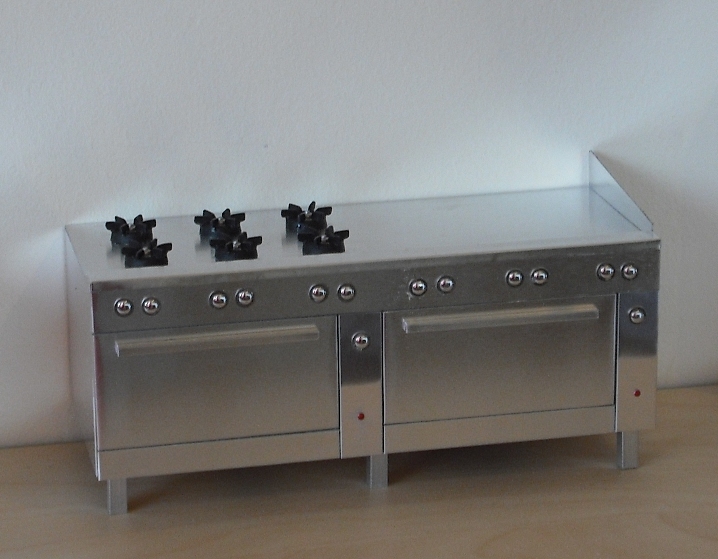 stove measures appx 7" (18cms) wide and and 3" (7.5 cms) deep. There are two ovens (with fixed doors), six gas burners and a griddle area, all with controls. 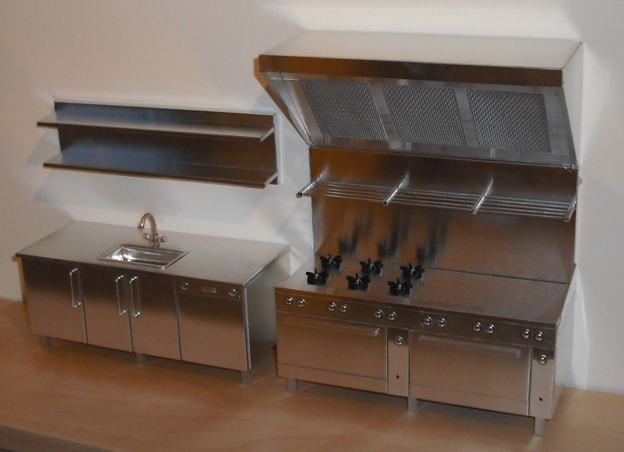 Also available backsplash with pan rack and commercial extractor - see separate listings. Note that all these items are made to order so we can vary the specifications - please contact us with your requirements.